Sinazo Solani, matric 2016, was selected for the Fed Cup team that is participating in Luxembourg in February. 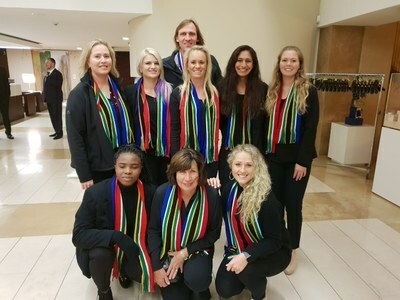 "I am so excited and proud of Solani," said Sunel Malan, Solani's coach at Rhenish Girls' High. "Her hard work, commitment and discipline throughout her career has been outstanding. There is nothing more rewarding than reaching a goal through trust and hard work.